The updated-for-2018 Yamaha Tracer 900 is much of the same and isn’t a significant enhancement when compared to the outgoing model, but that’s no bad thing as over 30,000 riders have bought the Tracer 900 and loved it! It’s a bit more comfortable, a bit better looking and a bit better equipped, but it is still set fairly soft on its suspension and the OE screen is still crap – although now it can easily be adjusted in its height, not that it makes any significant difference to its performance. On twisty roads the Tracer’s forks and shock are set too softly and don’t really support the bike enough, allowing it to wallow and pitch when you up the pace. 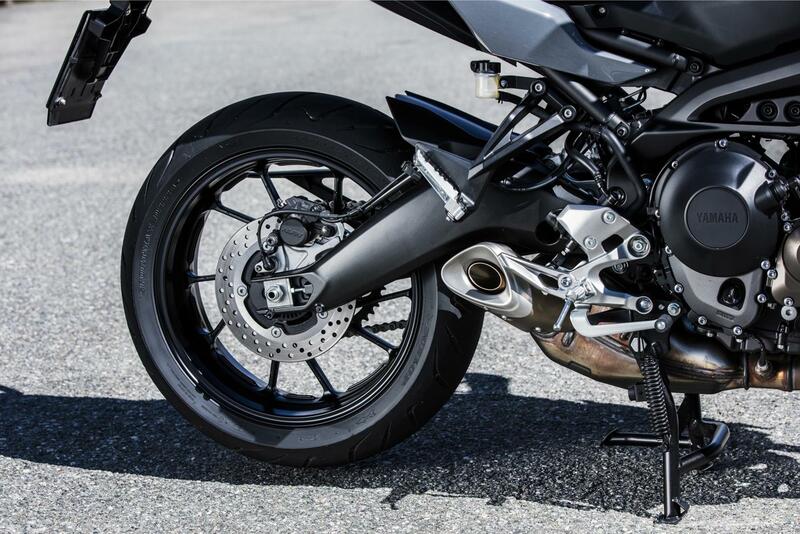 This softness, combined with the 60mm longer swingarm, can make the bike run wide out of bends. There is some adjustability (preload and rebound on the forks, preload on the shock) but is there is enough to dial it out completely? I’m not certain. 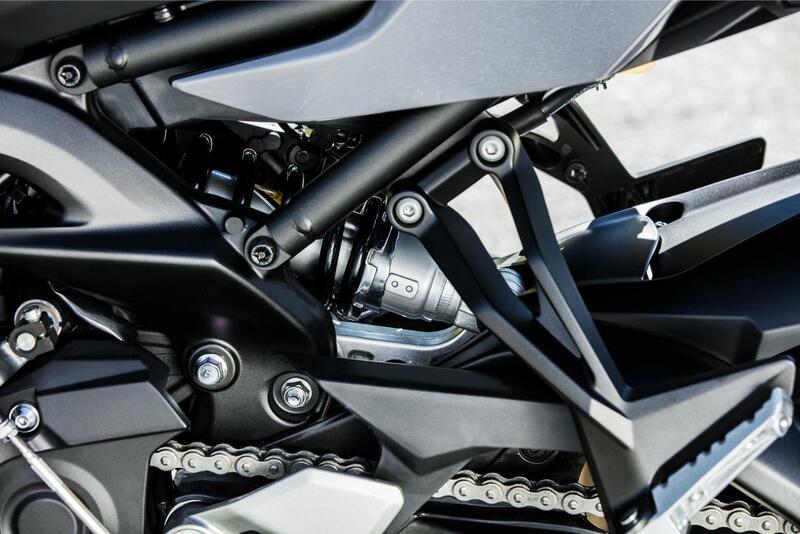 There again, if you own a current Tracer and are happy with its suspension, it may not bother you and the new model is certainly more comfortable than the outgoing one thanks to the altered seat and riding position. And pillions are better catered for, which will be a draw for some owners. The new-for-2018 Tracer 900 has the same motor as the Yamaha MT-09, which is no bad thing at all. Packed full of grunt, the 847cc triple engine has a good throttle response as well as a bit of spirit should you wish to open it up and let it rev. You get a slipper clutch as standard as well as three power modes. The engine has always been the MT range’s main selling point and it still delivers in this updated sports tourer. The engine type is a 3-cyclinder, 4-stroke, liquid-cooled, DOHC with four valves. The maximum power is 84.6 kW (115PS) @ 10,000 rpm and the maximum torque is 87.5 Nm (8.9 kg-m) @ 8,500 rpm. The starter system is electric with a constant mesh, 6-speed transmission system. The Yamaha Tracer 900 may be built down to a budget, but that hasn’t shown itself up in build quality and owners report. The old model is well finished and reliable. There should be no gremlins to worry about aside from a few corroded fasteners if the motorbike is used in winter and not cared for with anti-corrosion spray. The Yamaha Tracer 900 has always represented great value for money and the 2018 update continues this theme. 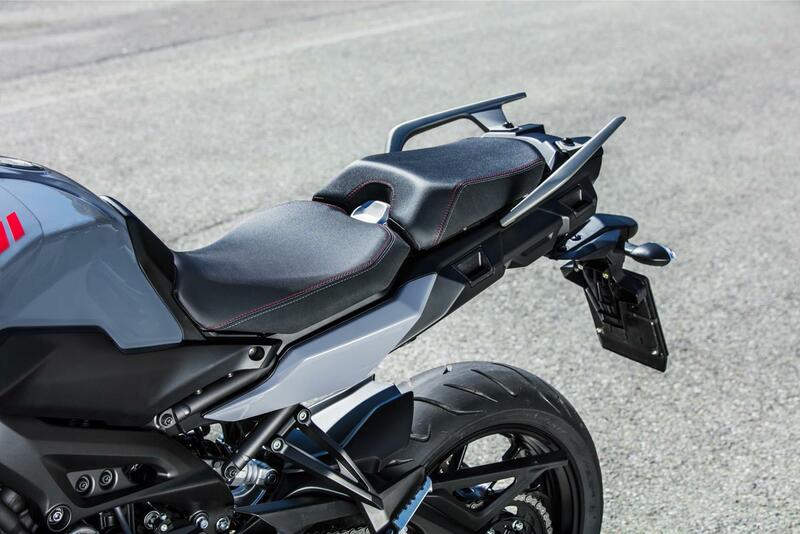 The new model gains a 50mm one-hand adjustable screen, inbuilt pannier mounts, a more padded seat for both the pillion and rider and a revised riding position with narrower bars. The pillions pegs are lowered and the grab rails made bigger. And all this for just £350 more on its price tag when compared to the older generation! 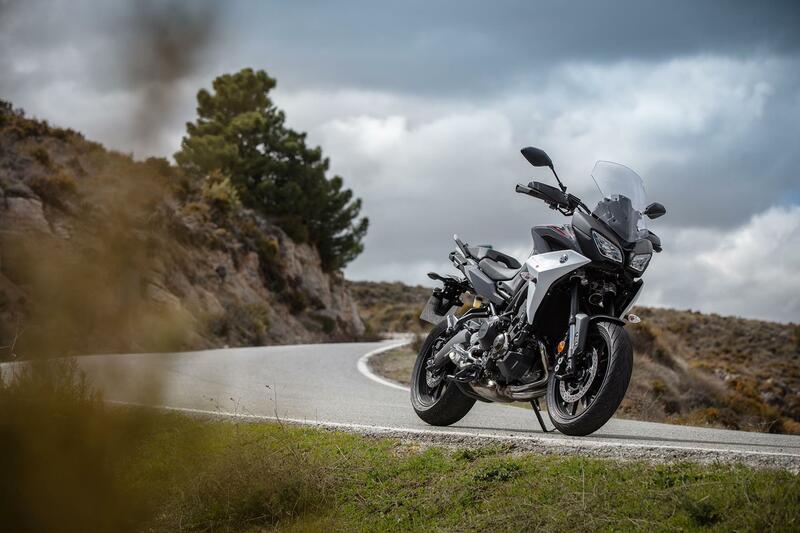 The Yamaha Tracer 900 may be labelled a ‘budget’ sports tourer, but you still get two-stage traction control, ABS and three power modes as standard as well as its new for 2018 adjustable screen and inbuilt pannier mounts. 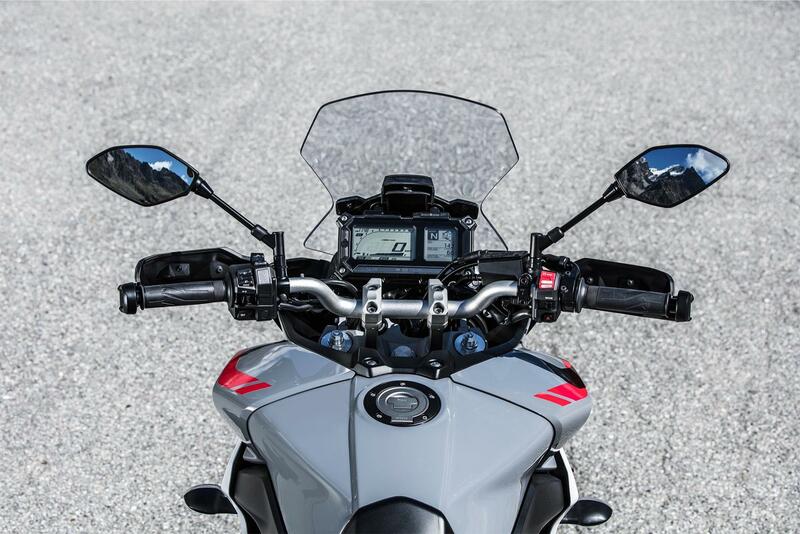 The rider’s seat has two heights (850mm and 865mm), a centre stand is standard equipment and the 18-litre tank is good for 200 miles between fill-ups. The only issue is that for £1400 more you can have the Yamaha Tracer 900GT version, which comes loaded with goodies. Rear brake 2 x 298mm discs with four-piston radial caliper. ABS. 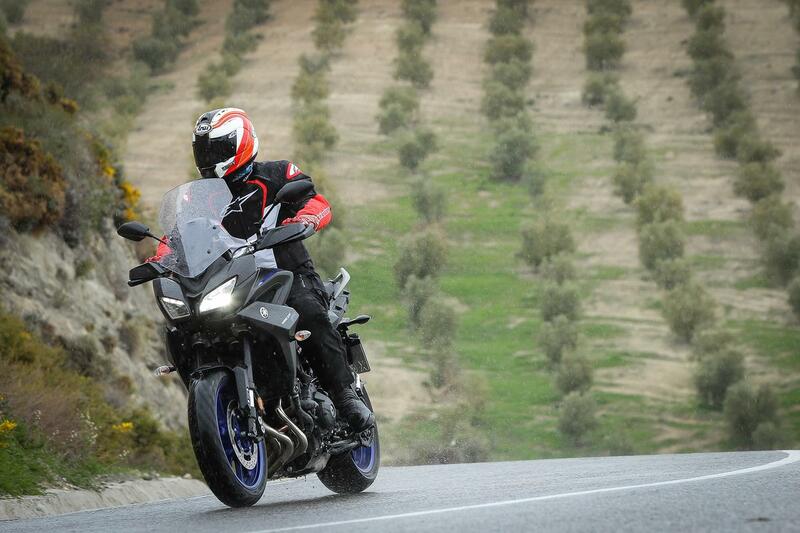 In 2015, Yamaha launched the Tracer 900. From 2015 to around early 2018 an impressive 30,000 Tracer 900 models have been sold (that's just in three years). 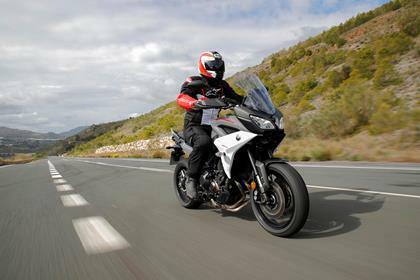 At the time, that meant it was Yamaha's best selling sports tourer, equating for 50% of their sales in that segment against the Yamaha Tracer 700 and Yamaha FJR1300. Other versions of this motorbike include the Yamaha Tracer 900GT, which costs £10,792 and has a TFT dash, colour-matched panniers, heated grips, cruise control and upgraded suspension. No owners have yet reviewed the YAMAHA TRACER 900 (2018-on). Yamaha Tracer 900 on the road. 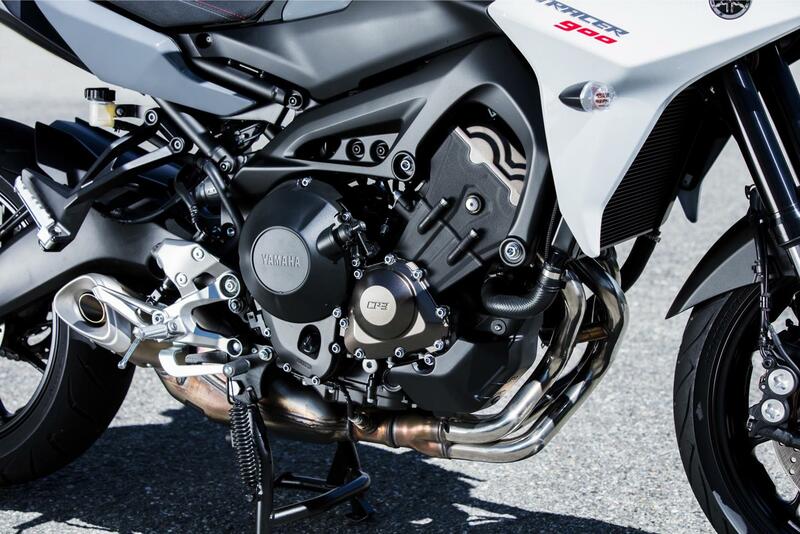 The Yamaha Tracer 900 engine. The Yamaha Tracer 900 nose view. The Yamaha Tracer 900 seat. Yamaha's Tracer 900 parked up. Yamaha's Tracer 900 was updated for 2018. Yamaha's Tracer 900 rear wheel. The Yamaha Tracer 900 shock view. 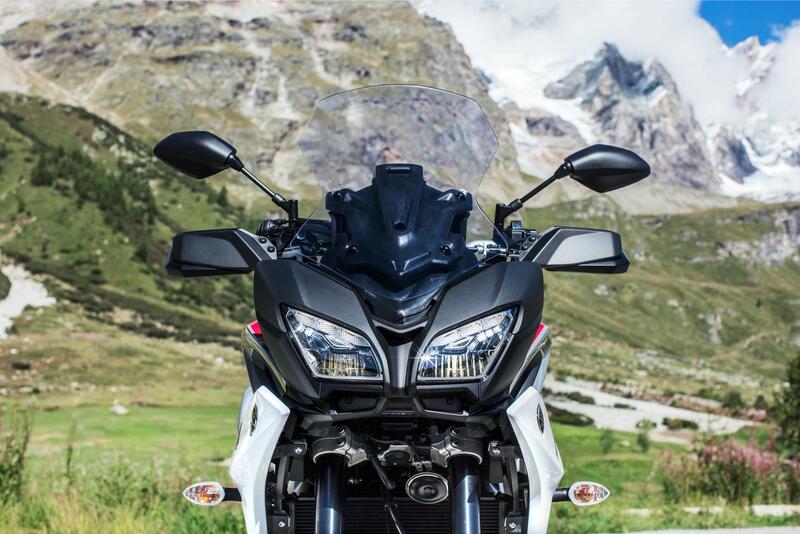 The Yamaha Tracer 900 tank view.